Beekeeping is not only for the bees, but for the environment and our food. In order to support their own incomes as well as sustainable agriculture, eight farmers in Devgain, Jharkhand have started beekeeping. Obviously, the farmers are able to earn income through honey production. But why does beekeeping benefit the environment? By keeping just one hive, you are introducing 50,000 pollinators into the area. Pollination transfers grains of pollen from one plant to another, to fertilise the ovaries of flowers. While some plants rely on wind to provide pollination, and others are self-pollinating, most flowering plants need the services of natural pollinators, such as honeybees. In fact, crop yields can be increased by as much as 300%. At the same time, wild plants and flowers are also supported by the hard work of the honeybees. Many flowers actually evolved in conjunction with the bees. To remove them from the environment would mean the demise of flowers and plants that we take for granted. They are plants that provide seeds, nuts, and fruit that feed numerous species, not only we human beings. However, something called Colony Collapse Disorder has started to happen around the planet. It is a phenomenon that occurs when the majority of worker bees in a colony disappear and leave behind a queen, plenty of food and a few nurse bees to care for the remaining immature bees and the queen. 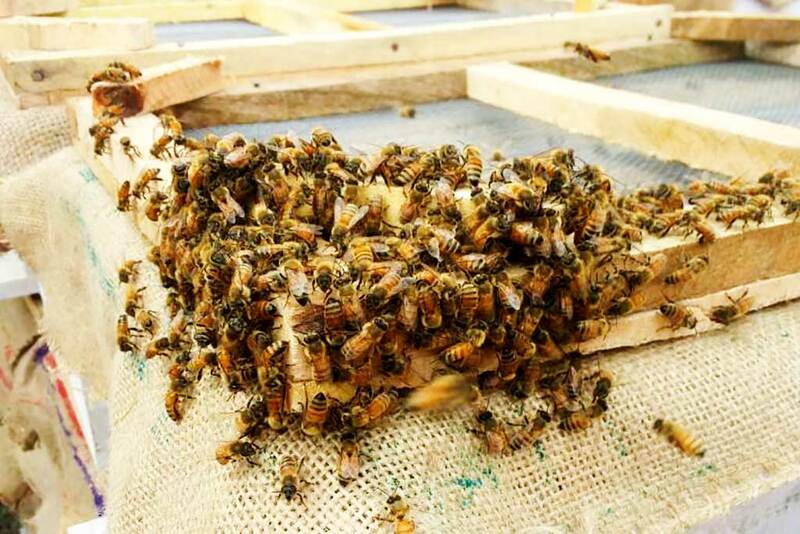 Research is looking into several factors like mite infections and other honey bee diseases, pesticide poisoning, changes in habitat, and inadequate nutrition for the bees.